J&J CUSTOMIZED FORMED SUPERIOR LEATHER-MADE 45CAL. 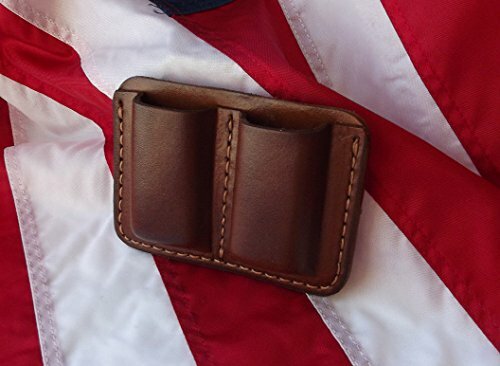 DUAL BUNDLE STAND-IN JOURNAL HOLSTER WITH BACK BELT CLIPS THIS UNIVERSAL STYLE HOLSTER CUSTOMIZED MADE UP COMING FROM SUPERIOR USA HIDES FOR A DOUBLE BUNDLE 9MM JOURNAL, WITH ITS 2 BACK CLIPS ENABLES SAFE AND SECURE CARRY INSIDE THE WAIST (IWB) OR OUTSIDE THE WAIST (OWB) ****** PLEASE READ THE FOLLOWING DECLARATION ****** BECAUSE OF HOLSTERS BEING HAND CRAFTED AND THE AMOUNT OF TIME ASSOCIATED WITH THE METHODS OF MAKING EACH ONE IT IS REALLY CHALLENGING FOR US TO HAVE A PRE-MADE INVENTORY THAT INCLUDES EVERY HOLSTER KIND FOR EVERY DESIGN GUN, JOURNAL MEASUREMENTS COLOR AND HAND PULL We Provide. THROUGH THIS SAID, SOME ORDERS ARE PUT THROUGH THE LINE AS THEY ARE GOTTEN. EVEN THOUGH MANY ORDERS ARE SHIPPED OUT THE SAME DAY ACQUIRED PLEASE TAKE NOTE SOME ORDERS MIGHT USE UP TO 5-8 BUSINESS DAYS TO SHIP. WE APPRECIATE YOUR COMPANIES AND PATIENCE. 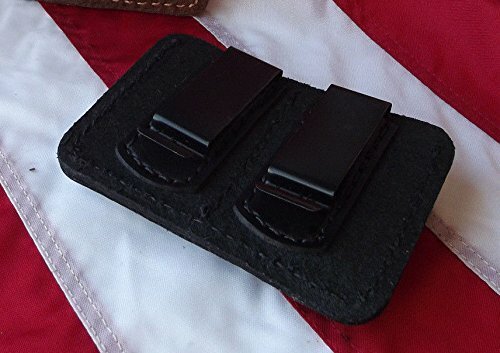 ENSURED YOU WILL DEFINITELY RECOMMEND THE QUALITY AND FITMENT OF YOUR NEW HAND CRAFTED LEGITIMATE LEATHER-MADE HOLSTER. 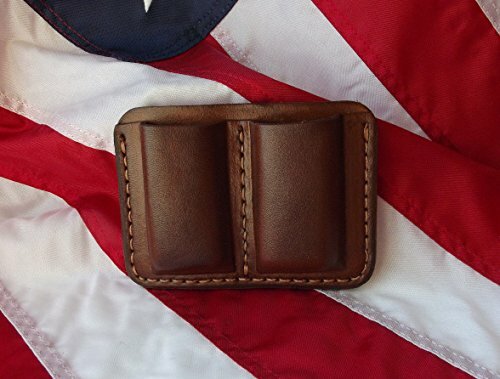 J&J "Hand Crafted" Leathers *** MANUFACTURED IN THE U.S.A. *** Greatest Custom-made Fitted Formed Leather Holsters Fee US Leather - Handmade Through US Artisans Our premium holsters are actually made in the USA coming from the best quality USA Sourced conceals. Making use of the greatest components and the absolute most proficient craftsmen in the business promises a delighted customer. 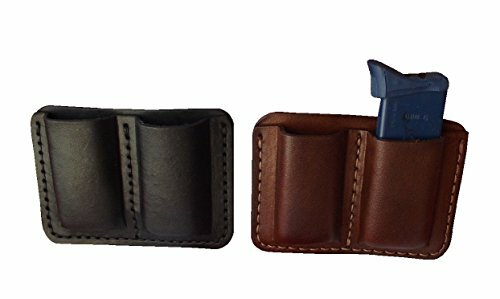 As you may see coming from the images, the stitch top quality and interest to detail in our holster is actually unequaled. Our craftsmens take severe satisfaction in their job, and this polishes through in their extraordinary interest to detail. 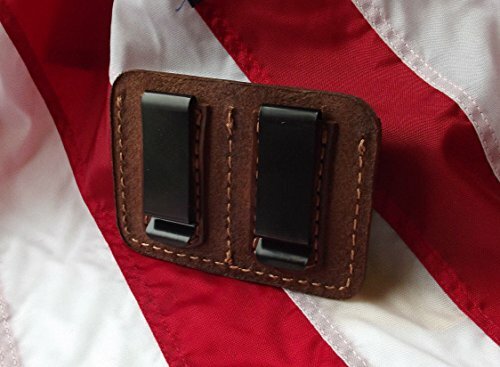 Our suited leather-made holsters fit and secure, and are actually designed for continual make use of. 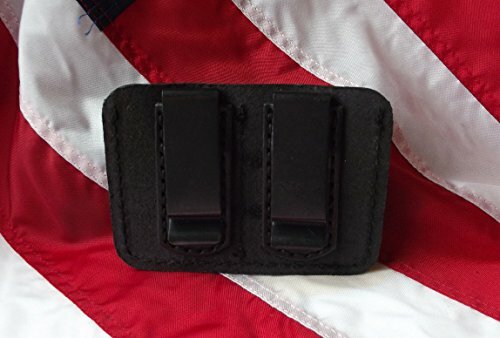 This common clip type magazine holster is actually ambidextrous so benefit both right and right pocket/iwb/owb along with your choice of a dark or even brown appearance.